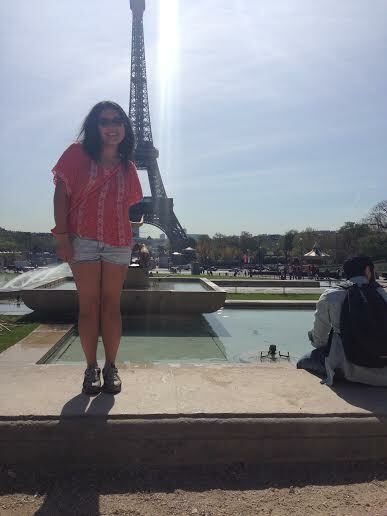 I’m lucky enough to be able to travel in my job (not as much as Ga) and this time we headed to Paris. I didn’t know what to expect as I’ve never been before – we were meant to go for my friend Larissa’s 21st but unfortunately during this time I had my passport/visa issues and wasn’t able to go. As soon as we arrived everything seemed sort of happy. I guess it helped that the sun was out – it felt like summer time! We stayed in the center – not far from the Champs-Élysées and just around the corner from the Arc de triomphe. On the first day, we went to the Jardin du Luxembourg. We decided to get the metro but perhaps it wasn’t the smartest idea as we needed to carry the stroller for the baby up and down the stairs! 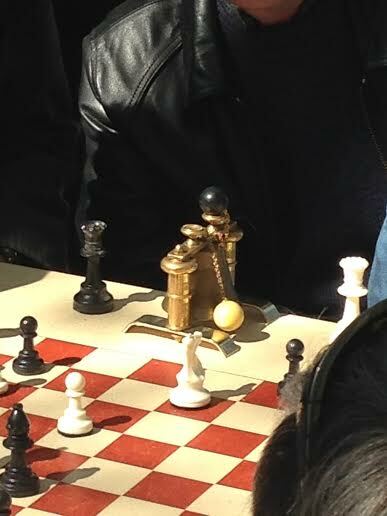 When we arrived at the park, I was immediately surprised to see chess being played. It was a very beautiful sight, there were so many people in the park relaxing – reading books, playing scrabbles, cards etc even snoozing! I immediately got weird butterflies, like I wanted to start hustling but I was unsure (especially as I don’t speak much french). One thing caught my eye, there seemed to be some sort of competition between a group of players (all male of course). I was interested and could quickly see that they were not complete patzers. The thing that caught my eye was this. I asked what his elo was and he said about 2500 and I was like “What’s his name?” as I didn’t recognize him. Once he said “Thal Abergel” I recognized the name and now was able to put a face to the name! I’m definitely looking forward to one day and going to these parks and hustling 🙂 And of course, I hope that this catches on in London (we would need better weather – though I do want to point out the weather is NOT as dreary as everyone thinks it is). 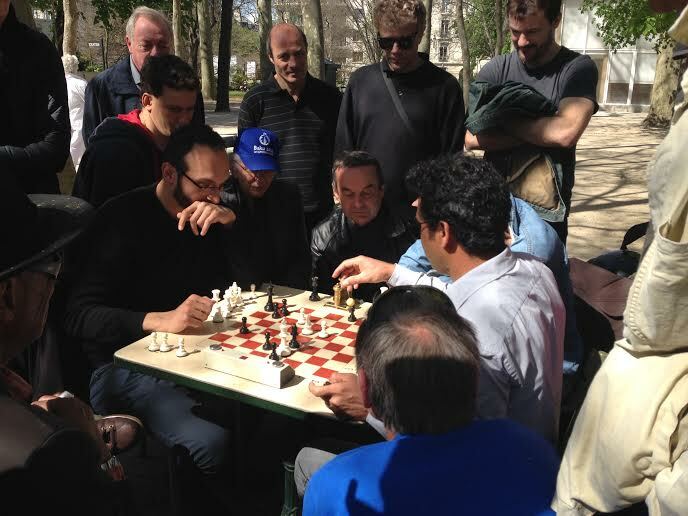 Do people know of places where chess is played? Parks & cafes etc?